In order to make employees work well, it is rather important that they are rewarded when they perform tasks in a satisfactory manner or when they achieve a particular target. In addition to being rewarded if you wish for them to work positively through the project, it is important to give employees good incentives which they look forward to in the time to come. In order to run your company in a successful manner, it is vital that you as the boss know the basic differences that exist between bonus, incentive, Pay Commission and split share. These terms are often used interchangeably, but that should not be done at any cost. Both bonuses as well as incentives are often given in companies as a means of constantly encouraging the employees to give their best no matter what. When either of the two is given out to the employees, the employees are very happy and feel like all their efforts are appreciated by the company. One of the main reasons why people get confused between the two terms is that both are given in addition to an individual’s set salary, both are aimed at making the employees feel content as well as both are only given out if the task at hand has been carried out in a proper and successful manner. Given here are some of the chief differences that occur between bonus and incentive. One of the main differences that exist between bonus and incentives is that a bonus plan is granted to an individual only after a task has been completed by the person. On the other hand an incentive pay is mentioned to the employees much before they have started working on the task and this incentive serves as a means to spur them on and to give their best no matter what hurdles happen to come their way in the course of their work. In the former people have no reward promised to them at the onset, they simply let their conscious be their guide and do their best because they want the company to succeed. One of the best parts about receiving a bonus is that there is a certain fun surprise element to it, which makes the employees feel so thrilled. On the other hand, once the employees have successfully completed the task which had been entrusted to them, they naturally look forward to receiving the reward which had been offered to them as an incentive to do their work well. Loosely speaking, the incentive serves as a bribe of sorts which are usually given to children when parents want them to complete some tough or disliked task. Giving incentives have served as an effective method to bring out the best in workers and encourage them at every stage to perform well. It is usually at random or on the spot that the management or boss of a given company decides to give a bonus to his employees for accomplishing such a tough task. This reward is given well after the completion of the task when all the employees have had sleepless nights and braved all odds. An incentive on the other hand is guaranteed to the employees if they complete the task. An incentive once promised has to be given to the workers, who have worked tirelessly keeping the incentive constantly in their mind. If an incentive bonus is promised and not given that is bound to cause a big uproar in the company, by the employees. Most often, employee bonus schemes is given to the employees in the form of money or in the form of something which is equivalent to cash like a share in the company etc. On the other hand, an incentive system very often, is not given to the employee in the form of cash bonus rather it is given in the form of a gift of some kind. This gift could be in the form of a paid vacation, some gift coupons or even some other kind of present. Sometimes this incentive does not come in the form of something concrete. It could be in the form of a title which is bestowed on an individual or a particular benefit he or she gets over the other employee incentive plans. A bonus is something when once given, encourages the employees to work better in the next project. If for example after giving your 100% in this project and receiving a bonus for your efforts, you will naturally work in the same manner for your next project, silently hoping in your mind that once again if the profits are good then the boss might decide to give everyone another bonus as a reward. An incentive on the other hand, is just encouraging for one given project, once an performance incentives has been announced and given out, it has no bearing to what will happen in the future. A major reason why people confuse the two up, because an incentive can be a bonus, but what individuals do not realize is that a bonus on the other hand cannot serve as an incentive. This is primarily owing to the fact that an incentive is forward looking and encourages the employees to perform a given task well, where as a bonus is something which is only handed out once a task has been fulfilled and the boss thinks that individuals have outdone themselves. Working for commission does have its obvious benefits where as it ensures that your hard work is rewarded, yet one of the main disadvantages of a commission payment is that it often puts a lot of pressure upon the employees, especially for those who, on a given month know that they will not get a proper salary because they have not made adequate sales. The main similarity between bonus and commission is that both are paid on the completion of a task as well as both are given most often in the form of money. Given here are the chief differences between the two. It is obvious that no company can afford to hand out bonuses on a monthly basis. If a company bonus were to constantly hand out bonuses to the employees, then the organization would not be able to survive long as they would never be able to make investments in other important fields. A commission on the other hand is given out to workers on a regular basis, whether it is monthly or weekly and this is something which the employees do look forward to once they have done their work properly or made the sales which they had been expected to make. Generally, most employees get a equal amount as a bonus. This is unless the bonuses have been distributed on the commission basis of how many years an individual has served in a company or on the basis of an individual’s pay for performance. Very often to keep things fair and avoid a lot of chaos, companies prefer to maintain equality. A commission amount on the other hand varies from one individual to the next commission based on the individual’s sales. It is hardly ever seen that two individuals receive the same amount as their commission and there is nothing unfair or unjust in this. Employees of a company are not involved in deciding how much money they should receive as their bonus amount. They simply receive the amount from the company usually in envelops which are distributed. They receive the contents of the envelop with immense joy as well as gratitude, because it was unexpected. As opposed to this, the percentage of the sales which an individual gets as sales commission cannot be solely decided upon by the management of the company. Both parties ought to sit down together and then come to a conclusion after a fair bit of negotiation. A bonus is a sum of money or a cash equivalent which is granted to employees in addition to their basic salary once a tough and complicated job has been completed in a proper and successful manner. A bonus is not the individual’s only commission earned and it just comes in as something extra, with gratitude from the company. On the contrary a commission might be in addition to a person’s basic salary or it might not be so. It has to be decided from beforehand the kind of system that is going to exist. Unless all the terms are agreed upon by both parties, nothing can proceed. An individual in the event of not being given a bonus cannot demand one. On the contrary if an individual has been promised a certain amount as commission once doing a particular task, he or she must receive the commission and can make a demand for it. Getting a bonus is no ones right and it is to a large extent based on the discretion of the boss. Whereas for a commission there is no two ways about a person receiving it, once everyone has been decided as well as agreed upon by all concerned parties. In addition to the above terms which are often used in the incorrect contexts, people often find it tough to differentiate between a bonus as well as a split share. Given here are the two chief differences that are existing between the two terms. The term bonus means something additional and unexpected which is offered as a prize of sorts. A bonus shares is something which is usually given as a free share to investors. Another common way of rewarding those who invest in the company could be in the form of dividend on bonus shares. A split share on the other hand is just a share which is split up. 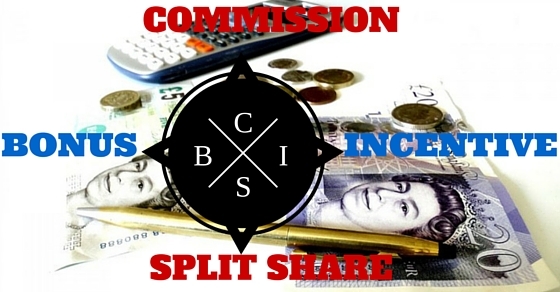 A bonus share does nothing to affect or alter the face value in any way, however as opposed to this a share split does alter the face value in a considerable manner. In a split share, the issue of shares is reduced and the face value is reduced based on how the split has been done. As it has been mentioned above, it is rather unfortunate that even individuals who head companies are not necessarily aware of the basic differences which offer between these terms. Using these terms at random and in the wrong context could easily spell disaster for the company, especially if the employees look forward to some recognition and reward and do not get it after the task has been completed. At the on set it might seem rather tough to differentiate between one and the next but as you gain some experience you will understand exactly which term has to be applied where and to what end. Next articleBackdoor Reference Check: How to do it Right?